Resident Evil 0 HD Remaster является переизданием оригинальной Resident Evil 0, в котором было значительно улучшено графическое и звуковое оформление, добавлена поддержка широкоформатных мониторов и телевизоров, а также переработано управление. Действие игры разворачивается в 1998 году, а сюжет рассказывает о создании отряда особого назначения S.T.A.R.S. и событиях, развернувшихся в особняке и давшим старт всей серии Resident Evil. 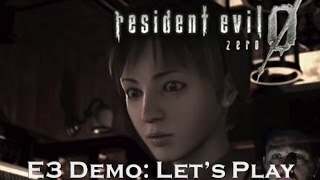 Resident Evil Zero HD Remaster — ещё одно удачное HD-переиздание отличной игры, которая в своё время прошла мимо большинства пользователей. Если старые части серии вызывают ностальгический трепет, а трудности не пугают, то Zero — идеальный повод снова окунуться в атмосферу ужаса. Resident Evil 0 looks and sounds better than ever, providing the same great game as before, even if the controls feel somewhat unnatural at times. Exploring the title’s creepy, masterfully detailed environments is nothing short of a joy, and sorting out the harrowing tasks of inventory management and limited resources is tense in just the right way. Resident Evil Zero not only feels fresh 14 years after its original release, but it also showcases a superb remastering effort. A methodical game which truly rewards deep thought, this survival horror classic stands tall in genre that's been streamlined a little too much in recent times. If you've never played 'Becca and Billy's escapade, then there's never been a better opportunity. And for those who have survived the nightmare before, the new modes and graphical upgrades mean that there's plenty of reason to climb aboard. The new control scheme works great in the remaster, as well, although it can get finicky with some of the unfortunate camera angles. 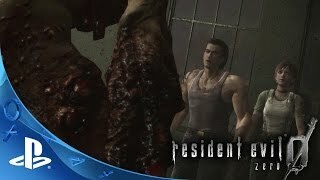 With all the enhancements in visuals and gameplay elements, Capcom has not only set a precedent for how remasters should be done, but helped excel Resident Evil 0 into being a far more enjoyable horror experience. Capcom proves once again that it's quite good at this remastering lark. 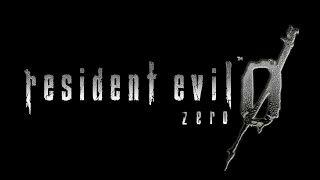 Resident Evil Zero HD is a brilliant update of another classic GameCube Resident Evil game for a modern audience that demands to be revisited once more or discovered for the first time. It's scary good. Suffers from cumbersome inventory management and tedious back-tracking that kill the flow and tension considerably...This one's only for dedicated followers of the series. Removed from the moment in time when it debuted, Resident Evil 0 is just a really good classic RE game. It didn't set the standards for this style of game the way Resident Evil 1 did; it's not as ambitious or unblemished as Resident Evil 2. But it's far from the mess that history made it out to be. Resident Evil Zero HD sees the return of a weird chapter in the Resident Evil saga, one that feels clunky and frustrating in its low points, but which also shows some uniqueness from the legacy it helped bring to a close. You may tire of the formula by the end of the game, but with Wesker at your fingertips, don't be surprised if you find yourself eager to sprint through zombies and decapitate them with energy blasts. It's just crazy enough to work. The last of the 'classic' Resident Evil games, Zero is now clunky and often infuriating. But the HD conversion looks and sounds superb, and once you get used to its quirks, it's still a class act. Reanimating this limp corpse of a survival game in high definition only brings back the disappointment I felt when I played it the first time. A beautiful remaster of a game that tries to recreate the magic of the original Resident Evil, but repeatedly fails to do so. Resident Evil 0: HD Remaster – это морально устаревший проект даже для своего времени, который пытается паразитировать на чувствах преданных фанатов. It's certainly not the best in the series, but it's a creepy game with a great atmosphere and one where you actually have to plan ahead. If only they fixed that ruddy camera. A wonderful upgrade of one of the most derivative and dull titles in the series. Главный вопрос к ремастированным HD-версиям, как правило, касается графики: хорошо ли смотрится игра в наше время. Resident Evil 0 казалась потрясающе красивой в 2002-м и отлично смотрится даже сегодня — но при этом она как была безнадежно посредственной игрой, так и осталась. All in all, Resident Evil Zero doesn’t even come close to being called a remastered version because it offers nothing but minor visual upgrades. Сколько ни критикуй Capcom за «ленивое переиздание», а достойных аналогов все равно единицы, включая HD Remaster первой части. Такие тягучие хорроры с постоянным ощущением смертельной угрозы, менеджментом ресурсов, головоломками, сражениями с боссами и исследованием локаций, полных тайн, являются вымирающим видом. В Resident Evil 0 это разбавлено хорошо реализованным кооперативным взаимодействием двух героев. Создателям стоило бы многое исправить по мелочам, но даже с оговорками приквел Resident Evil заслуживает внимания.